Please, contact us for current prices on horses available for sale. All prices are subject to change without notice. Offers made on horses available for sale are always considered. Availability subject to change. We reserve the right to refuse service to anybody for any reason. Thank you and we appreciate your business. 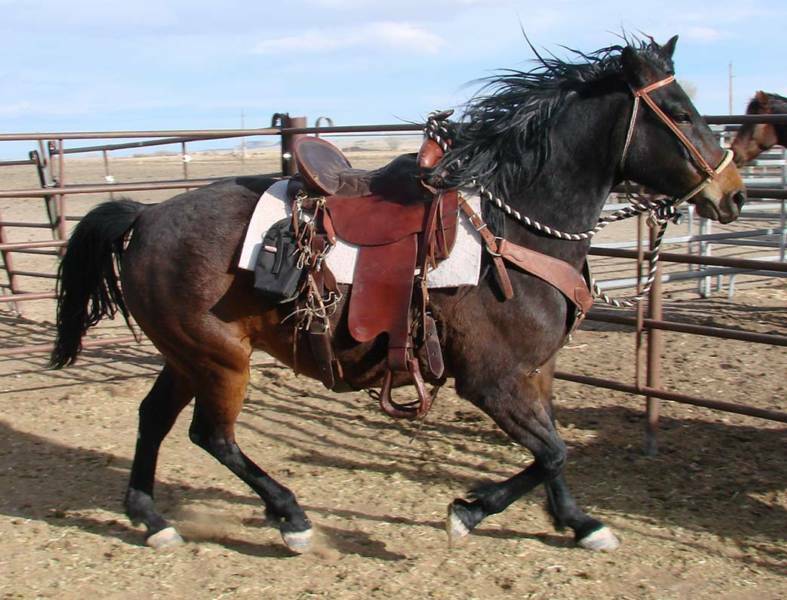 Prices include transfer of registration papers and mandatory Wyoming livestock brand inspection. If needed, halter, lead rope, coggins and health papers would be at cost. 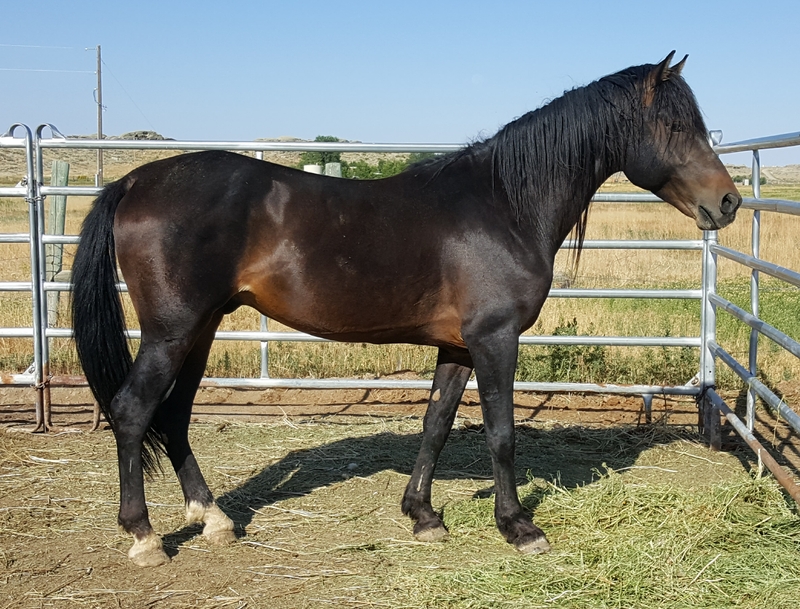 Mares offered for sale at Can-Do Morgans may be bred to the stallion of your choice for an additional fee for a 2-in-1 package deal with a live foal guarantee. 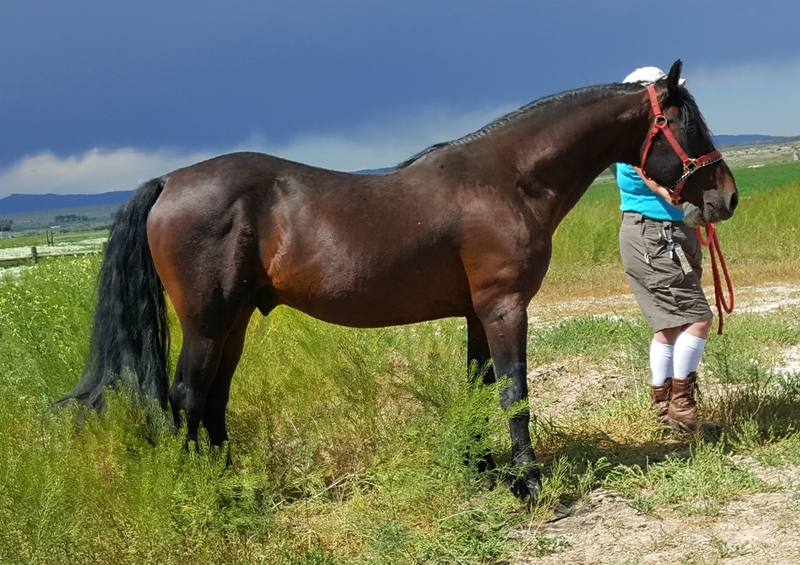 Can-Do Curio Gem - AMHA reg # 177225, 2007, 14.3H stocky built, bay (Ee, A_), exceptionally well gaited registered Morgan mare that is going very well under saddle. I am offering her for sale for a very limited time. She has the greatest personality that loves attention. Easy to catch and does everything, leads, loads, ties, trims nice, etc. She is a dream to work with, very lite and sensitive. 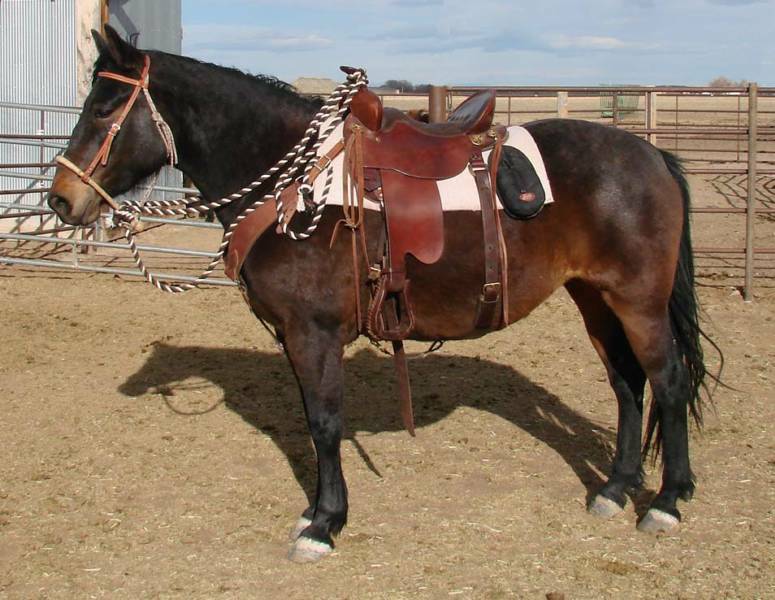 Pictured at a rack, she has everything anyone would want in a gaited mare, size, build, speed, and oh so smooth!! Moves right to be dual registered with the American Speed Racking Horse Association. 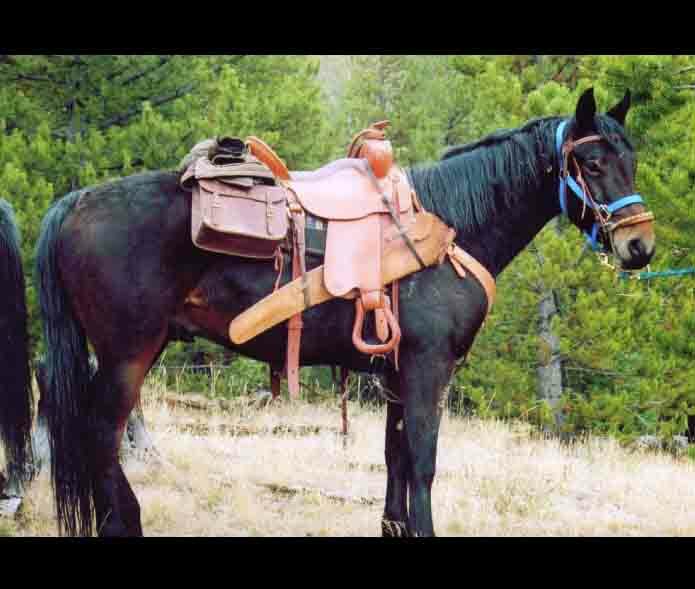 Trail ride with her or add her to your breeding program. Reduced breeding fee if bred to one of our stallions with a live foal guarantee. 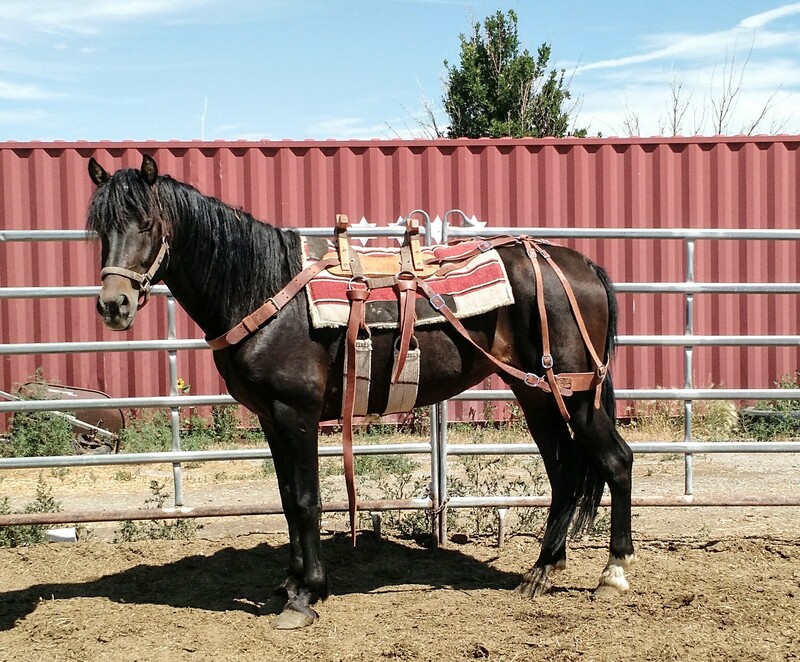 Can-Do Deeper Shade O Blu - AMHA reg # 189944, RARE Smokey Grulla gelding(Ee, aa, nD, nCR), DOB 2014. 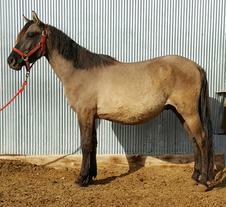 Indigo is a rare smoky Grulla in the Morgan breed. His pedigree is the culmination of selective breeding and represents some of the finest blood in the Morgan breed. This boy's color genetics have been tested as: (Ee, aa, nD, nCr). 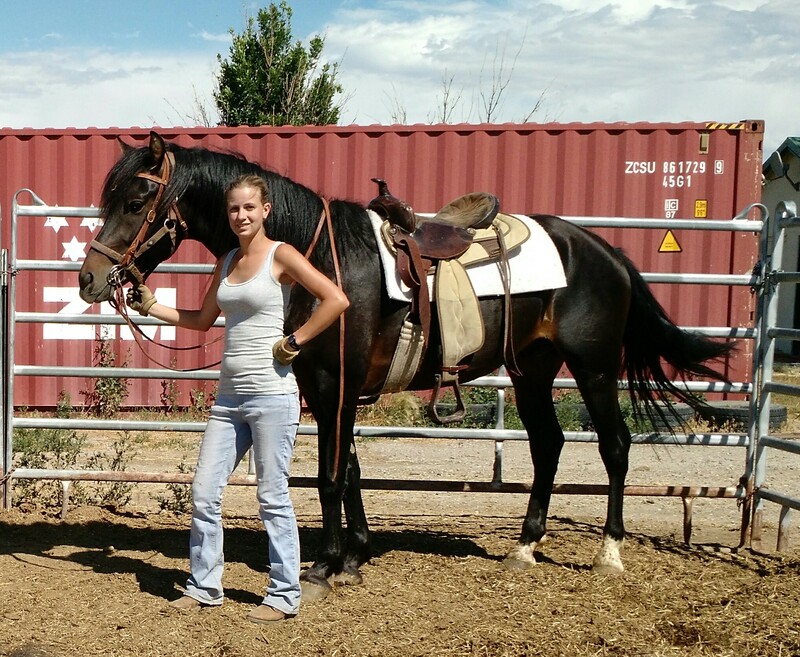 Indigo is a people friendly colt and has been handled since the day he was born. He leads, loads, ties, and has had his feet trimmed. Pictured as a long yearling. 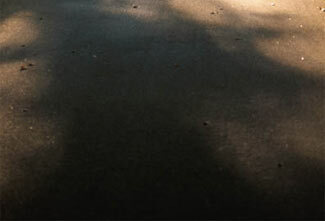 New photo coming soon! 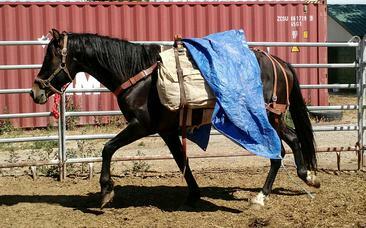 Missouri's Dandy Mandy - AMHA reg # 185435, 2012 gaited chestnut filly, currently 15.1h at 4 years old. Mandy is such a sweet girl and has shown she will be easy to train. 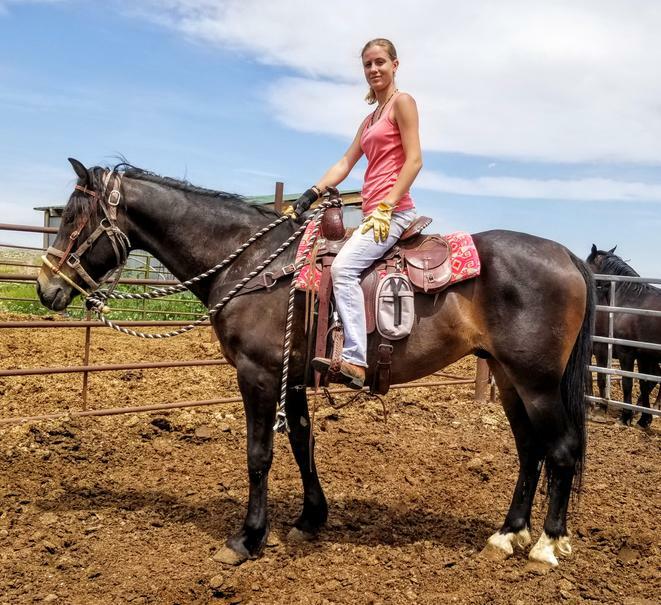 We are offering her for sale only because our breeding program has taken a different direction and we feel it will serve her best for her to go somewhere she will be used and appreciated as an excellent mount or for breeding purposes. 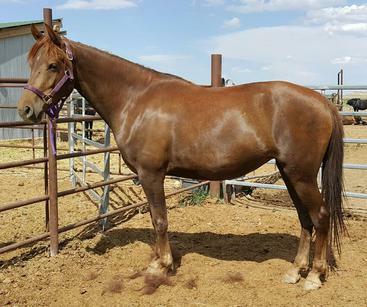 She definitely has the quality, gentleness of spirit, conformation, and size for being a broodmare. We will continue her training until sold and her price will increase accordingly. 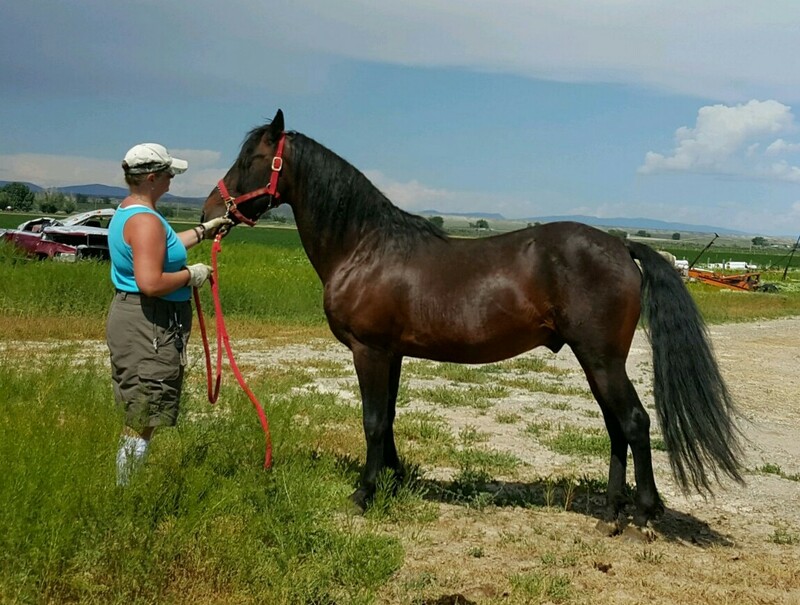 Can-Do Sovereign Soldier - AMHA raf, 2015, (Ee, aa, nSW1), black, confirmed splashed white gelding. He is sired by KS Bluestem BronzeSoldier out of Change Of Pace Cheerio making him 100% foundation bred. He has an irregular star, faint snip on the left nostril, right white sclera, brown eyes, both front pasterns, and both hind fetlocks. This is his sires first foal for us and we are very pleased with him. He has his sire's quiet disposition. 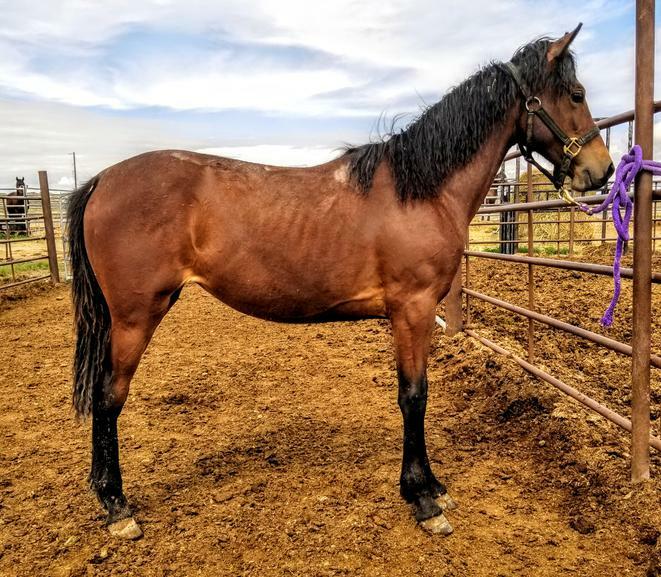 KS Bluestem Bronze Soldier - AMHA Reg # 183176, 2010, 15.2H, 100% Foundation bred Bay Splash Morgan gelding (EE, Aa, nSW1). Soldier embodies all the presence and gentleness reflected in his pedigree. He has amazing bone and phenominal confirmation. He has a calm, quiet, gentle disposition and has been easy to teach. 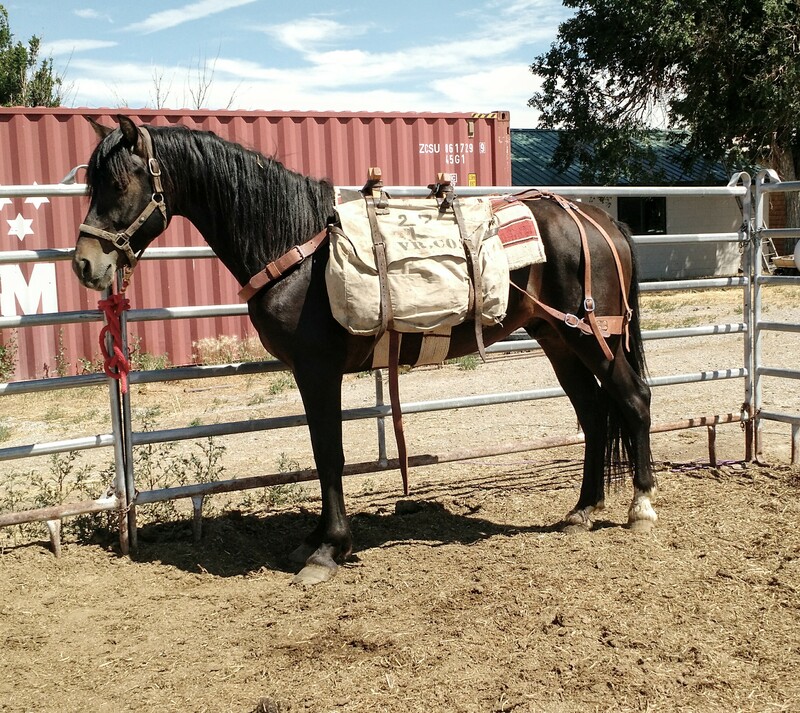 Soldier is started under saddle and pack saddle. He is light, and picks up subtle cues with ease. He has a strong work ethic, and is eager to see the world. Barely A Starr Agreement - AMHA Reg # 135546, 1995 Bay (E/e, A/a), 15h, star, left hind partial coronet, Flaxen carrier. This guy is the cream of the crop! We purchased "Star" as a 9yo virgin. He truly taught us how a stallion should behave and set the bar high for the rest of our stallions to compete with. He is very people oriented, has NO bad habits, is easy to handle including collection, and is still very fertile. He is 100% trustworthy with kids. 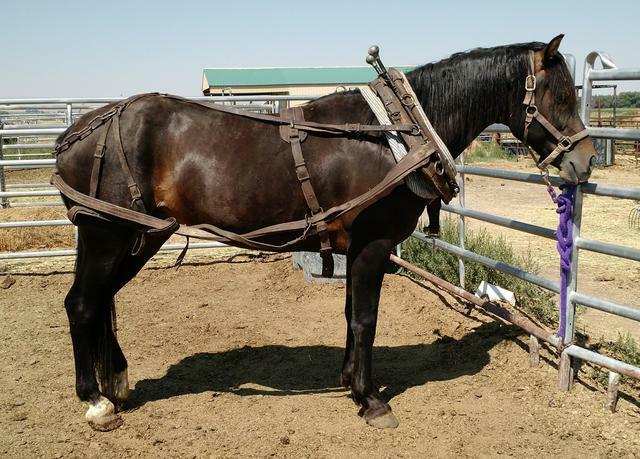 He would be perfect for a family that has never owned a stallion before and wants to start breeding their own stock. We are the proud owners of several of his daughters and a few of his sons. The only reason this rare opportunity to purchase such an amazing gentleman is on the table is because we want him to set the bar for another farm. Settled 2 mares first breeding in 2018! Can-Do Toy Soldier - 2017 Black, 100% Foundation bred gelding, sired by KS Bluestem BronzeSoldier out of Pandora Blue. This fellow is correct, balanced, and has good size. 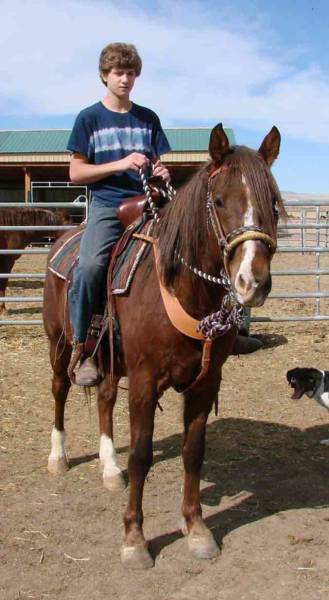 He has a great future as a riding partner suitable for multiple disciplines. Please, look at our mare page as we have listed several mares for sale as well. You can find more info on these mares there. 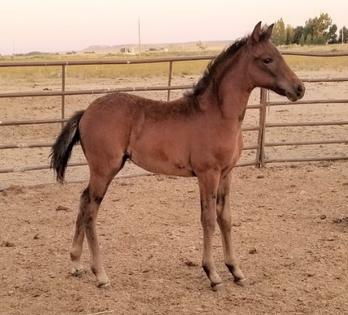 Can-Do Mercedes - 2017 bay filly, sired by FCR Magic Act out of Can-Do Chocolate Porsche, nice elegant filly that should be of good size, mature to 15+H. Exceptional Sport Horse material. She is the tallest of that years foals!! 100% Foundation Bred. Pictured as a yearling. Can-Do raf - 2018 bay filly sired by FCR Magic Act out of Pandora Blue.